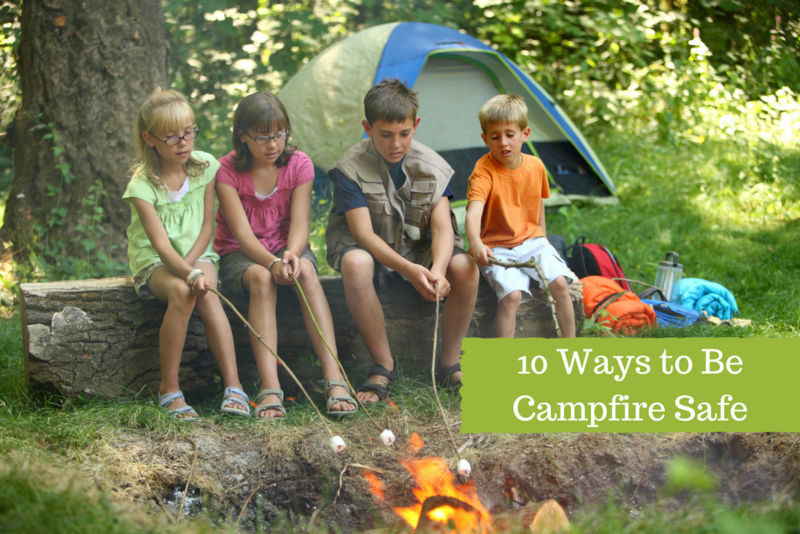 Summer and camping are two things that always seem to go together, and one of the things that makes the experience most memorable is a campfire. Perfect for toasting marshmallows, taking the edge off the cooler evening air, or simply giving everyone a central space to gather for late night ghost stories. 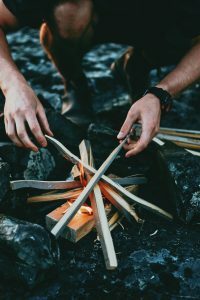 Don’t build campfires if they are prohibited for any reason – whether it’s because there is a historical significance to the area you are in, ecological considerations, or because it’s generally unsafe (e.g. hot, dry weather), always look for signs and abide by the rules. If there’s an existing fire pit in the area you’re camping in, that’s your safest place to build your campfire – not only is it built properly but it’s a safe distance from areas where tents are pitched, as well as surrounding trees, bushes, and other flammable objects. If you’re building a fire pit yourself, clear a 10-foot diameter around the site, dig the pit about a foot-deep, and circle the pit with sturdy rocks. Always make sure you have a source of water, a bucket, and a shovel nearby in case of an emergency, and to help you properly extinguish the fire before you leave. Only use wood you find on the ground to build your campfire – never cut whole trees or branches, whether they are dead or alive, as you can damage the forest and remove homes for wildlife. Choose tinder (small twigs and dry leaves, grass, and needles), kindling (sticks smaller than 1” around), and fuel (larger pieces of wood). To learn how to build your campfire properly, check out Smokey Bears’ guide here, or this awesome, in-depth article from MyOpenCountry. Don’t burn dangerous things like pressurized containers or aluminum cans as they can explode, shatter, or create harmful fumes for anyone nearby, and never use gasoline or lighter fluid to start your fire. Keep all flammable items well away from the fire always. Never leave a fire unattended at any time. Always make sure there is at least one person nearby to supervise the fire and those enjoying it. Extinguish your fire properly and completely whether you’re going to bed or leaving the campsite completely – it’s always best to let a fire burn to ash but in case you can’t, either pour lots of water on the fire to drown all the embers, or stir dirt/sand into the embers with a shovel, to bury the fire. If you see a wildfire or irresponsible behaviour, report it right away to local authorities in your area. Keep the number handy while camping, because information from the public is crucial to ensuring wildfires are responded to as soon as possible. With 84% of wildfires caused by humans over the last decade, campfire safety is so important for us all to remember throughout the summer months. While there is little we can do about fires starting by lightning strikes, we can all do our part to ensure that irresponsibility doesn’t continue to extend the fire season or contribute to the devastating damage caused by wildfires each year.